DHL Supply Chain has announced a partnership with Chemist Warehouse, which will see the company manage the supply chain for fast-moving consumer goods (FMCG) company's products and for front-of-store products going into their over 400 pharmacies nationally. “There are some immediate synergies that enable this to be a beneficial partnership from day one. Many of the FMCG and pharmaceutical manufacturers already store their products in our warehouses. 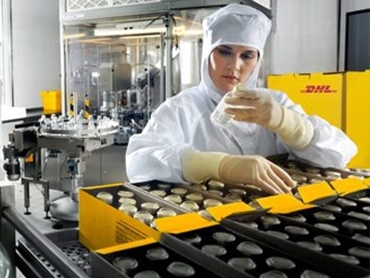 This means we can go from a pre-wholesale environment direct to the Chemist Warehouse pharmacies, and ultimately take a movement out of the supply chain,” Saul Resnick, CEO, DHL Supply Chain Australia & New Zealand, said. “We are excited about our new partnership with DHL, an expert in the field of global logistics, and we look forward to working with DHL on further improvements to our supply chain to support the rapid and dynamic growth of the Chemist Warehouse business,” Damien Gance, Director and Co-founder of Chemist Warehouse said. The partnership will immediately streamline the supply chain into Chemist Warehouse and MyChemist pharmacies, by reducing the reliance on wholesalers, Resnick said.